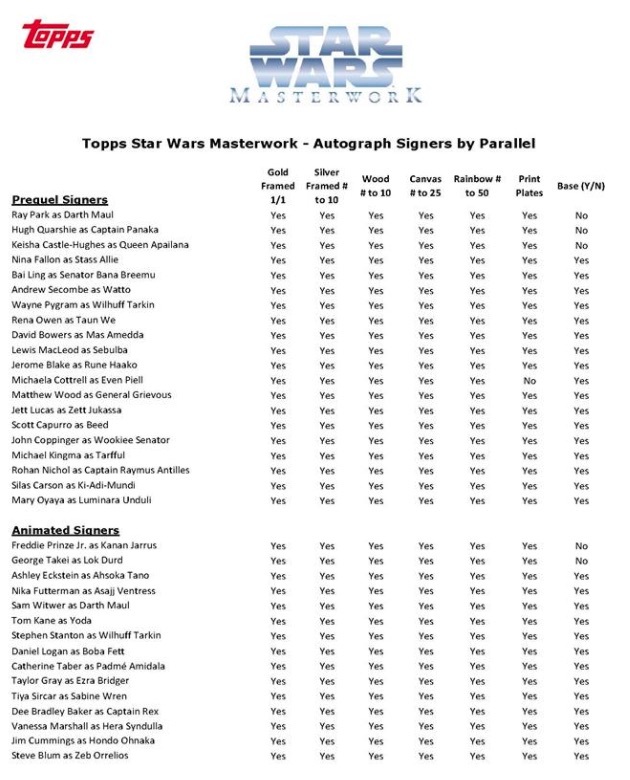 Largely continuing what was established in the product's debut, 2016 Topps Star Wars Masterwork presents several new options along with a premium take on the iconic franchise that includes on-card autographs and several different relics as well as content from The Force Awakens. Each five-card pack promises one high-end hit. 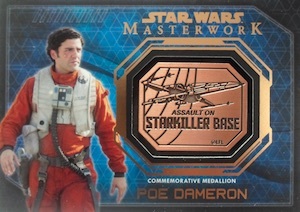 Considering the focus on quality, it's no surprise that even the base cards in 2016 Topps Star Wars Masterwork get taken up a notch. The 75-card base set is printed on a thick stock (72 point) and also offers 25 Short Prints. 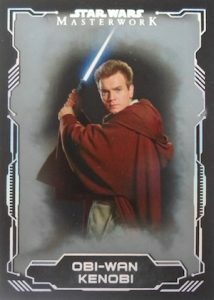 Parallels include Blue Metallic (1 per pack), Silver Metallic (#/99), Green Metallic (#/50), Lightsaber Purple (#/25) and Gold (1/1). 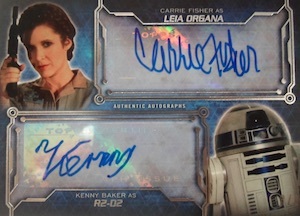 With a checklist of 80 Star Wars names and hard-signed content led by Daisy Ridley and Adam Driver, the main area where the release shines is with the primary Autographs. 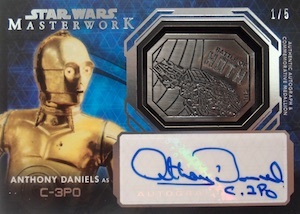 In addition to several parallels of varying rarity, collectors can also find Dual Autographs and Triple Autographs that incorporate sticker autographs. 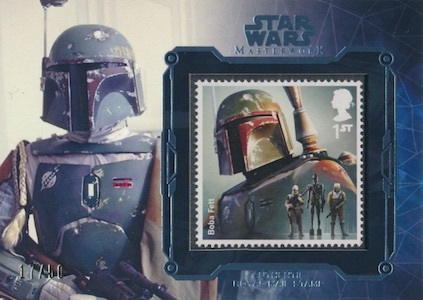 These are joined by commemorative relics like Stamp Cards and Battle Medallions in signed and unsigned versions. 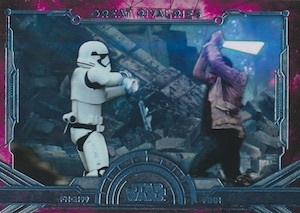 Sketch cards round out the hits with artwork from across the world of Star Wars. 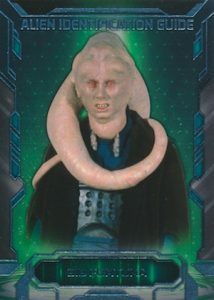 Basic inserts in 2016 Topps Star Wars Masterwork include Aliens & Creatures, Great Rivalries and Show of Force. Each insert consists of ten cards that are joined by parallels such as Rainbow Foil, Canvas, Wood, Metal, and Gold. 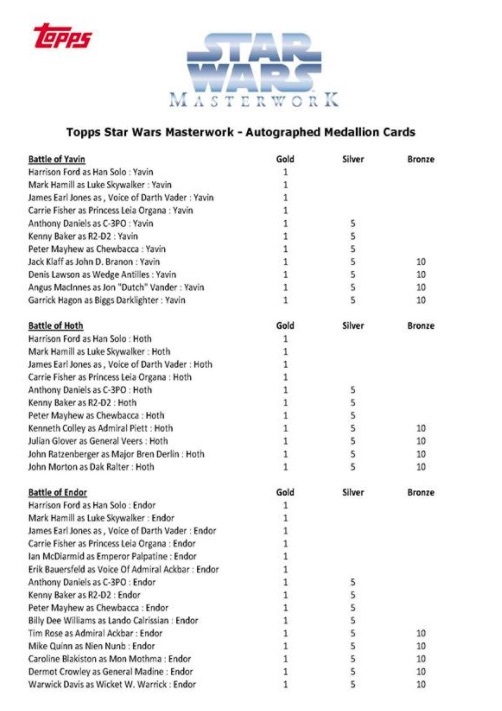 UPDATE (10/20): According to Topps, "screen-worn costumes and pieces of the Death Star had to be removed per new Lucasfilm guidelines." 75 cards. The final 25 cards are short prints. Shop for base sets on eBay. 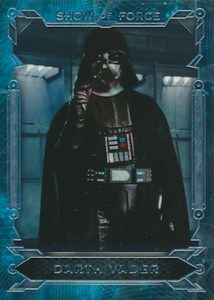 PARALLEL CARDS: Blue Metallic - 1 per mini-box, Silver Metallic #/99, Green Metallic #/50, Lightsaber Purple #/25, Gold 1/1. 80 signers. *Some subjects only have parallels and no base version. * Full breakdown below. 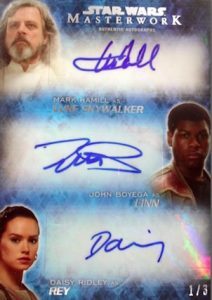 All 5 Harrison Ford cards are 1/1. PARALLEL CARDS: Rainbow Foil #/50, Canvas #/25, Wood #/10, Silver Framed #/10 or #/5, Gold Framed 1/1, Printing Plates 1/1. 3 cards. Serial numbered #/3. 62 cards. Serial numbered #/10. Bronze is the base. *Some subjects only have parallels and no Bronze version. * Full breakdown below. 35 cards. Bronze is the base. PARALLEL CARDS: Silver #/99, Gold #/10, Platinum 1/1. PARALLEL CARDS: Rainbow Foil #/299, Canvas #/99, Wood #/50, Metal #/10, Gold. 12 cards. Serial numbered #/249. 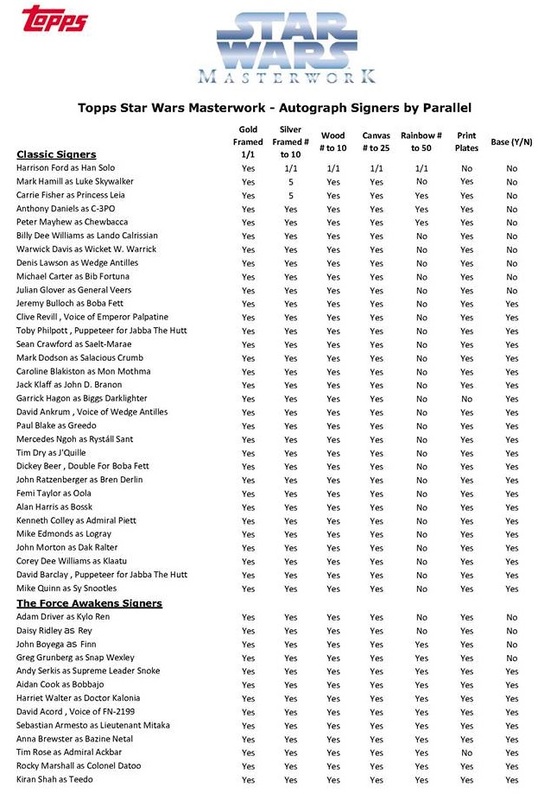 32 artists. 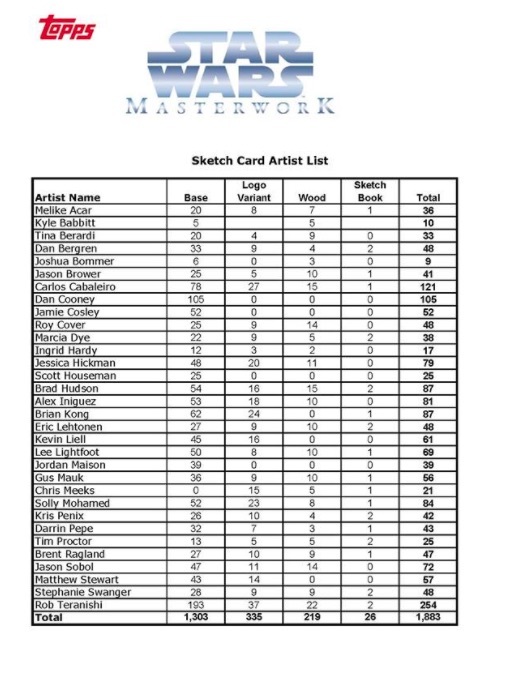 Specific sketch totals produced by each artist noted below when available. Versions: Base, Logo Variant, Wood, Sketch Book. Stuff isn’t near as good as last years offering. 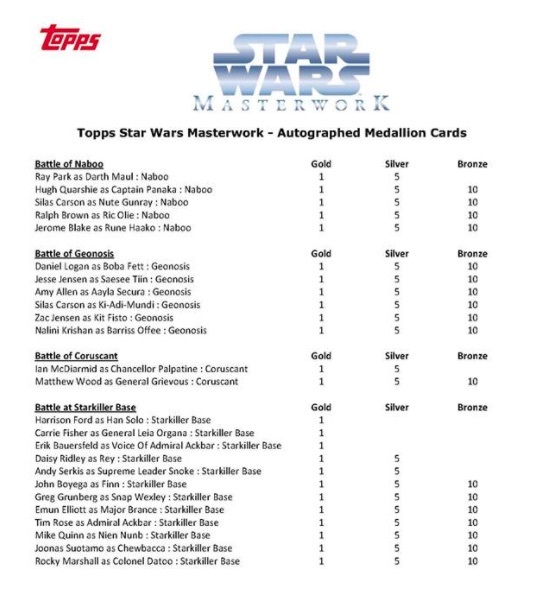 Seems Topps is all about losing another license here by frustrating more paying customers. Total regret in buying a case. 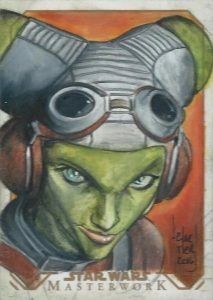 Only one sketch from a case that may fetch $100 bucks and the biggest autograph was a Vanessa Marshall as Hera Syndulla numbered /25. Medallions left and right and maybe four stamps. Prices are already starting to plummet as well. 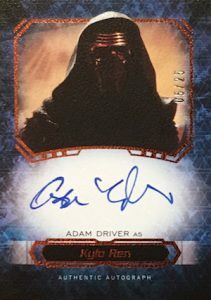 Hey guys, Just pulled a Daniel Logan as Boba Fett 1 of 5 Silver Meddalion autographed relic card, its actually number 1,Could you e mail me the value of this card I guess $300 to $400 max buy if He gets his own movie as the star wars buzz is predicting this card could have the potential to skyrocket, Thanks Robert Im hooked on the Masterwork hobby boxes containing 4 hits,so far I purchased 4 Hobby boxes and one mini box but no Daisy Ridley card of Carrie Fisher as of yet,I did purchase a CBCS graded Carrie Fisher actionfigure variant comic for $326 the day Carrie Passed now selling for $600 t0 $1000.